Its about my insights on life I received along my journey and also the valuable insights i received from Ach. AD who are solely responsible for my spiritual journey, who showed my life as it is without illusions. अहंकार – एक ऐसा तत्व जिसका कहीं कोई उपयोग नहीं ! यह सुनकर शिष्य निरुत्तर हो गया और वहां से भी चल दिया। इसके बाद कई और ऐसी चीजें उसने गुरु जी के लिए लेनी चाहीं लेकिन उसे हर जगह काम की चीजें ही नजर आईं। उसने सोचा कि जब मिट्टी और पत्थर, यहां तक कि जहर भी इतने उपयोगी है तो आखिर व्यर्थ क्या हो सकता है? 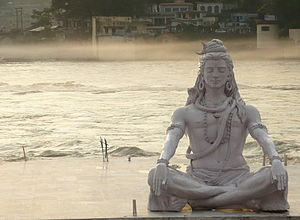 I have spend much of my life time in Rishikesh where flows the holy Ganges. I feel to have shared a very special bond with the ganges or as I like to call her Ma Ganga. She is like a second mother to all those who connect to her. I remember going to her when ever I faced any problem or was to take a decision. Her blessings always helped me sail smoothly. Recently I again went to take her blessings, or should I say.. she called me. Again I was standing at a point where I had to take a decision. And my Ma Ganga knew that I need her and called me. As I sat on the banks, the cool water swept over my feet and my whole being seem to forget the sense of time and space. 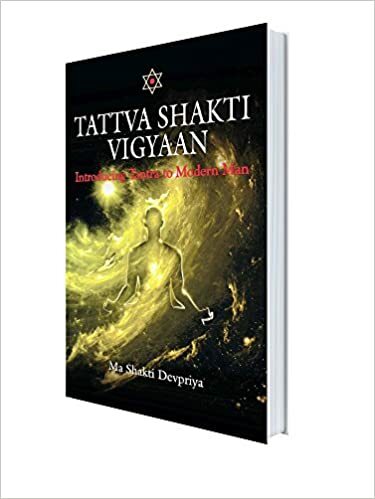 I talked my heart out to her and when I completed I was sure that my all prayers were answers and have gained strength to dissolve all the obstacles. The faith has always played miracles and I am in total awe that my journey has become smoother. She is just not a water element but a divine element. As I write this post, I feel goosebumps recalling the whole conscious connection we made!! Life had never come with a promise to be full of happiness and comforts. It was ought to be tough with full of various challenges. Every person has a challenge. I have never met a single person who could tell me that there were no challenges and life was a smooth journey for him/her. The journey from the moment we take our first breath till the moment we take our last breath is a significant one. What could be the significance of it? Just to make the journey easy and understandable the society has laid certain rules. The time line is presented. Complete your education till a certain age, get married, have children and so on…but is this the only significance of life or there is more to it. Why are there different challenges for different people, what does our creator expect from us….. Although the life had not come with a promise to be full of happiness but the creator had send us with the promise to support us in all our endeavours and make the journey beautiful. The creator created a solution for every challenge he gave us and comfort for every discomforting situation we face. The elements are always ready to help us and heal us. The challenges are given for us to understand the power of supreme and the power within us. With every challenge we learn to evolve and learn the lesson of life. Is it only with me or most of you all out there? Why do I feel that every time I form a time table, I fail to follow it…but work better when work instinctively. When there is a time limit, we need to make a time table to achieve the goals on time. Although I feel that I have failed in keeping pace with my time table, there is something I have achieved. That what I wish to share here. The rigidity in time table is the first cause of it s failure. Now, you may think, if it is not rigid that it is not a time table. I really feel, it needs to have some space within the time table..one or two hours when there is nothing to be done. When you can think what have to achieved, or what is more on what you can work, or is there something you need to do. Are there some new ingredients to be added to accomplish the goal. Remember! the whole idea of forming the time table is to achieve a goal. A time is set aside to think and feel about your goal. When you will think, how is your goal going to fill your life and life of other people with happiness, joy and tranquility. If you find your goal is not giving happiness and joy to other people than it is the time to rethink about your goal. Your whole effort is waste if it is only done for your self satisfaction and not a single other person is getting something good out of it. At this time fill yourself with attitude of gratitude towards the universe, who is constantly helping you achieve your dreams and is always opening up new endeavors for you. When you will add these two special ingredients to your time table. It will never fail nor with your dream..
Who win, Faith or fear? The one that is stronger. “The one you feed” replies the old man. Same applies here. Both the factors are within us, fear and faith. It entirely depends on us, that we allow which factor to design our life. Which factor dominates our life, Faith or fear. We don’t live entirely on faith or entirely on fear. There are times when our faith is stronger than are fears and there are also some times when fear is stronger than our faith. It is difficult to remove fear completely and live entirely on faith. It is difficult but not impossible. It is difficult because we are continuously exposed to an environment that carries negative energies with it, continuous occurrence of situations where our faith is tested. And those are the testing times when we loose faith and fear starts to design our life. But still faith cannot go out from our life completely nor can fear. In one whole day we have thousands of odd thoughts processing in our mind. Many of them have the fear as a main ingredient. The mind is always busy preparing it self for odd situations. These are just few examples, to which you may be able to relate or not. I am sure you must be having your set of fears. The first rule for perfect manifestation is to wash out fear and let the faith take over the charge. It may be difficult to be completely in that state. So if you are the one, who has many fear related thoughts. Than the first step is to get aware of your thoughts. The moment you catch a negative thought, replace it with a stronger convincing thought filled with faith on self and most importantly the divine. The exercise seems to difficult in the beginning, as we are generally not aware about our thoughts. Keep pracising it. Well this was the question I asked my friend as she was struggling to understand why was life not happening to her the way she thinks or wants. As we dwell deep into discussion, about what was exactly happening and how does she life and how is it different than what she feels it should be. I can confess here that there was a constant change in the pattern of her desires. Is it only with her? So when ever some one asks me to help him or her with any form of manifestation in life, the first question ask is ” Are you completely doubt free that you wan this particular thing to happen in your life” Many people stop for a moment and rethink. Yes it is very important to know that what you exactly wish in your life. To be exactly sure that how you see your life after 5 years or so. That gives us a better picture of where we are and where do we think we need to proceed. It may take a long time for you to come to a conclusion sometimes in deciding the particular exact desire of your life. But it is worth knowing it. So how can you know what you really desire in your life?? Have you known how your inner self talks to you? It craves to talk to you and has been shouting and we fail to listen and alas it stops all together.It is the sound of your inner being. There are physical sounds which are the ones which we are listening every day. But these are the sounds which are more than the physical sounds, the sounds which come from the universe. The sounds generate in our inner deeper self. They are not heard by our physical ears but with our inner ears. Why are we not able to listen to those guiding inner voices always? Its just because we are never aware of them. We have forgotten to pay attention and become aware of them. I say ‘forgotten’ because it is always not so. We have not born as the completely ignorant being as we have become today. As we start paying attention to what universe wants to share with us, and what does our inner being crave to share we open new adventures in our life. Life can be lived only when there is a adventure and through out the journey we are feeling more and more alive with each step. The voices take us to a new adventure in life, lead you to a path for which you have took birth. Just close your eyes and give some time to your self. Sit in complete silence. The first stage is when you will get more and more aware of the physical noise and slowly as you dwell in silence, your inner self will talk to yourself. may be for the first time! Before entering the meditation, make an intent to listen to your inner being. Happy adventure! !